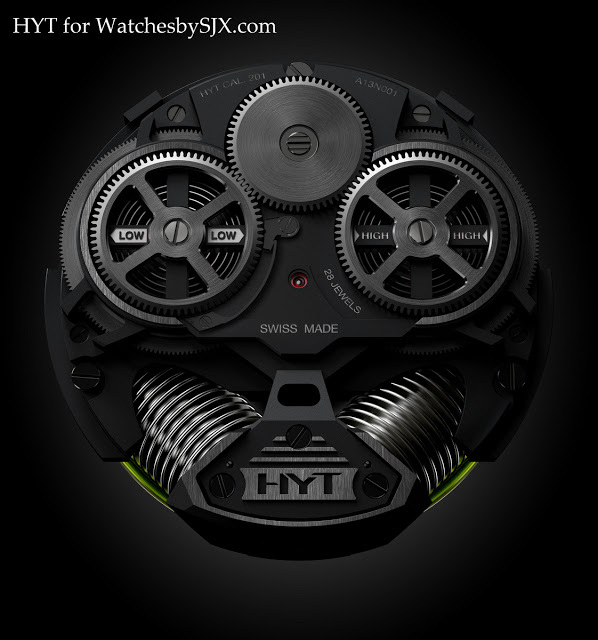 HYT has just premiered its second hydro-mechanical wristwatch, the H2, created in collaboration with AP Renaud & Papi. 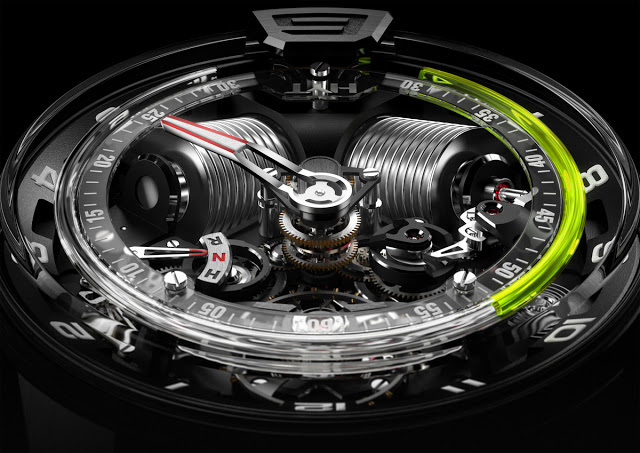 This is essentially a more elaborate version of the earlier H1, with added functions conceived by AP R&P like its crown function selector. 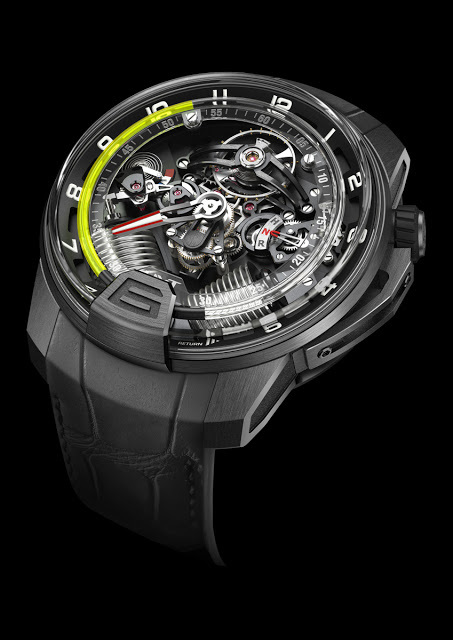 As with the HYT H1, the hours are indicated by the meniscus of two fluids in a tube running around the edge of the dial. Driven by twin bellows arranged in a “V”, the liquid instantaneously retreats back to six once it reaches six on the other side; in that way it is a retrograde display. And in the image below the time reads 10:34. 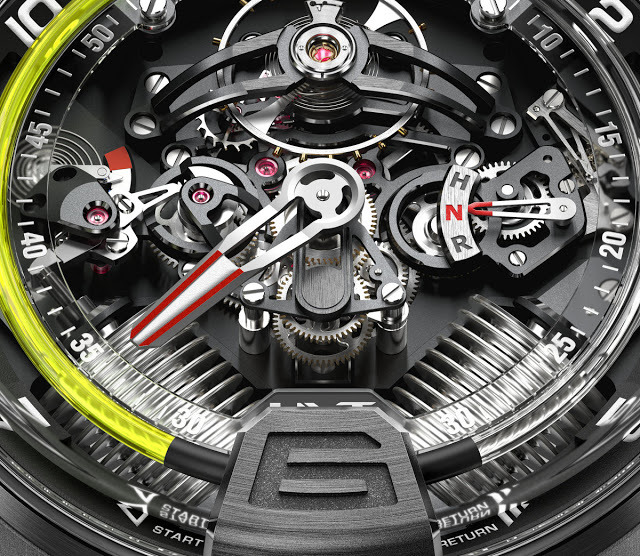 In addition to the fluid display, the H2 has a temperature indicator at nine o’clock. This tells the wearer if the fluid is at the optimum temperature range – novel but not useful. 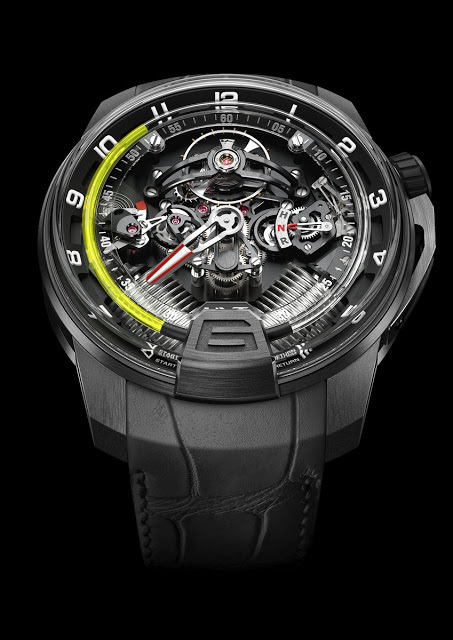 The eight day power reserve, however, is convenient.